Costco has brought back their $20 off $100 or more when paying with Masterpass promo. 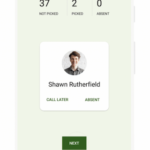 This offer first debuted just over a year ago, but the discount was $25 off $100. Regardless, if you were about to make a purchase on Costco.ca, you can save 20% off your first $100 purchase with this Masterpass promo, which also applies to Apple products, such as iPad, iPad Pro, iPad mini, Apple TV and iPod. Yesterday, we told you about the sale on Apple’s 2018 iPad for $379.99 on Costco.ca. Apply this promo and it takes the 2018 iPad down to $359.99, which is $70 off the price from Apple.ca—not bad at all. Offer not valid for Costco purchases made in warehouse, in Costco Business Centres, on costcobusinesscentre.ca, or on purchases of Costco Cash Cards, App Store & iTunes Gift Card, Gift cards, certificates and tickets, travel, tires, membership, or membership renewals. In order to jump on this promo, you’ll require a Masterpass account, which you’ll need to use at checkout. 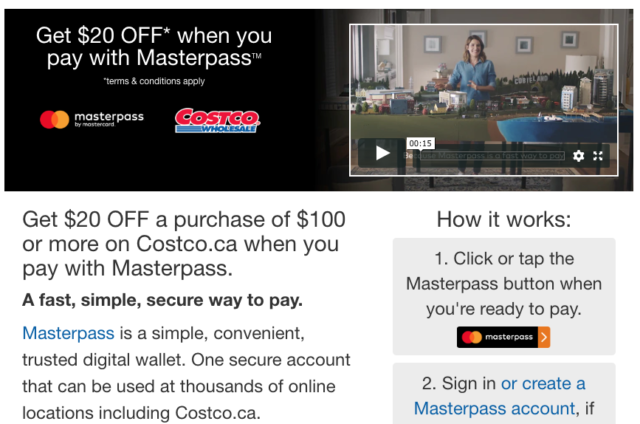 Costco.ca says the Masterpass offer goes from October 9 to December 9, 2018, and is limited to one offer per member during the promo period. Let us know what you’re going to purchase.